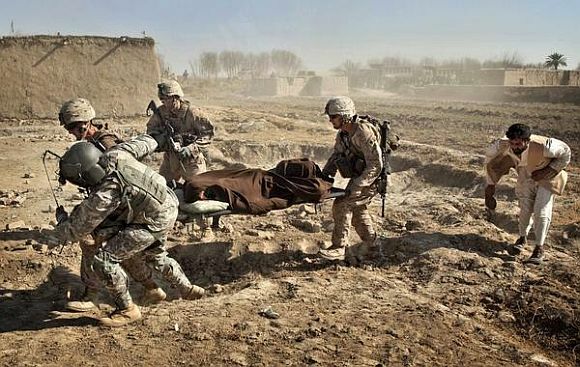 The American soldier who went on a shooting spree, killing 16 Afghan civilians, including nine children in Kandahar villages has been identified as Staff Seargent Robert Bales. Bales, who is currently under arrest, is now being flown to maximum-security prison at Fort Leavenworth in Kansas. 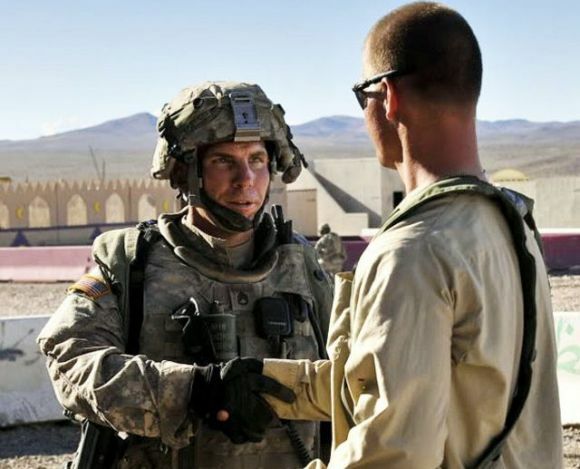 The soldier has been identified as Staff Sgt Robert Bales, a senior US official spoke on condition of anonymity because of the sensitivity of the investigation. The US military has not named him officially. Pentagon says its policy is to wait until a soldier is charged. He faces possible criminal charges, Pentagon officials said. "Bales is a 38-year-old staff sergeant, husband, father of two young children and a veteran who was in the midst of his fourth tour in a war zone. John Henry Browne, a defence attorney from Seattle, confirmed his client's identity," the Fox News channel reported. Browne said the sergeant, now living in Washington, has two children three and four. The sergeant's family says they saw no signs of aggression or anger. "They were totally shocked" by accounts of the massacre, Browne said. "He's never said anything antagonistic about Muslims. He's in general very mild-mannered," he was quoted as saying by the news channel. Browne, who said he has met with the family and talked with the suspect, cited a need to protect family members in declining to release the soldier's name. The news channel said reporters swarmed Bales' neighbourhood in Lake Tapps, in Washington state on Friday night in the rural community, a wooded area filled with pine trees about 20 miles northeast of the base. 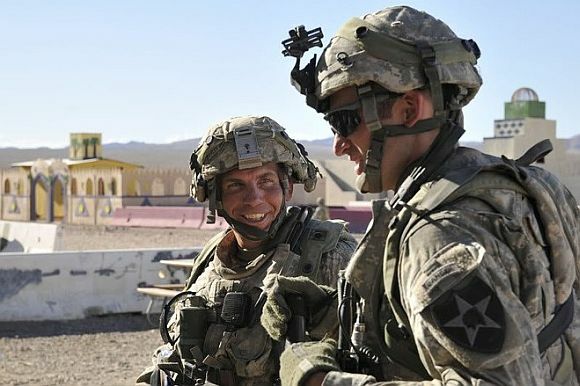 Bales, said to have received sniper training, is assigned to the 2nd Battalion, 3rd Infantry Regiment of the 3rd Stryker Brigade Combat Team, of the 2nd Infantry Division, which is based at Lewis-McChord and has been dispatched to Iraq three times since 2003, military officials say. During the suspect's time in Iraq, Browne said, the soldier was injured. According to Browne, Bales was 'highly decorated', but did not provide any specifics. Bales is reported to have completed 20 hours of anger-management counselling following a 2002 arrest at a hotel for investigation of assault. Browne told the Fox News that the case involved a woman who was not his wife. It was not immediately clear how long Bales has been married to his wife. As Gujaratis, we should hang our heads in shame!